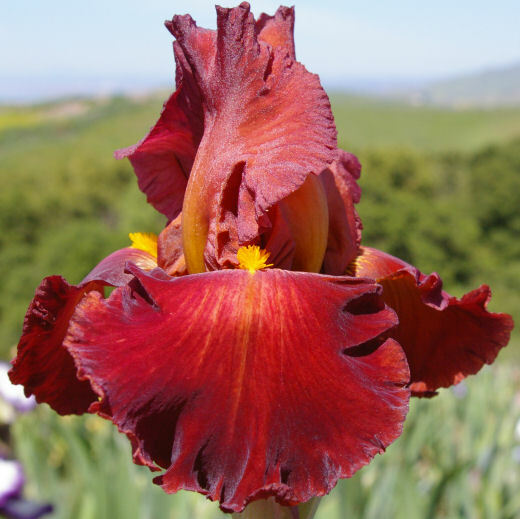 Tall bearded Iris Barbaro (Bruce Filardi, 2013) TB, 37" (94 cm), ML S. ruby red; styler arms light red-gold; F. velvety deep ruby red, yellow area beside bright orange beard; slight musky fragrance. Red self. Cover Page X Eyes Right.